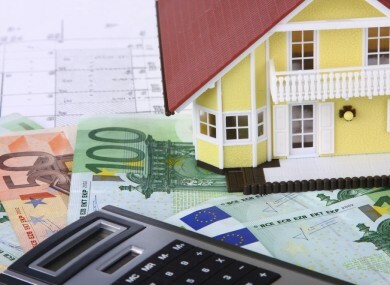 The selling off of IBRC assets leaves home owners vulnerable to a rise in interest rates. AS MANY AS ten thousand Irish mortgages are now in the hands of unregulated entities, sometimes known as vulture funds. These are mortgages held by bodies outside of the influence of the Central Bank of Ireland, and as such, do not have the statutory protection of the code of conduct on mortgage arrears. The figures, confirmed by Minister for Finance Michael Noonan in a parliamentary question, show that between 5,000 and 10,000 mortgages have been sold to unregulated entities in recent years. In April of this year, Governor of the Central Bank of Ireland Patrick Honohan spoke out against what he called ‘vulture funds’. He described himself as being “not happy” at the sale of mortgage books to bodies that are not regulated by Irish authorities. Denise McCormack is a homeowner who recently had her mortgage sold by the IBRC to Mars Capital Ireland Limited, which is a subsidiary of Oaktree Capital Management LP. We want to be able to go to the financial ombudsman, if they decide to put up the interest rates. I’m in a performing mortgage, but if they decide to put the interest rates up, then I’m gone. McCormack is a member of the group IBRC Mortgage Holders, a collective of those who have had their IBRC mortgages sold to unregulated entities. Responding to the question from Fianna Fáil’s Michael McGrath, Noonan explained that the government is bringing forward legislation to ensure that consumers will still be protected by the regulator. Another concern for McCormack, however, is that those proposed laws – designed to compel those buying out mortgages to act in line with the Central Bank’s legislation – will not cover loans already bought by these ‘vulture funds’. There is no transparency – you’re not even obliged as an unregulated entity to deal with the IMHO. These are very fundamental issue. It is like dealing with a money lender. How these transactions were allowed to take place is mind blowing. He also claimed there are ongoing problems with the code of conduct on mortgage arrears. Those suite of solutions are about as useful as a suite of furniture. No lender in the state is compelled to provide any solution. It is on each individual bank to provide solutions, if any at all. Permanent TSB is currently in the process of selling off its commercial property and sub-prime residential mortgage loan books. The two portfolios are valued at €2.6 billion. Email “Fears as 10,000 mortgages now in the hands of 'vulture funds'”. Feedback on “Fears as 10,000 mortgages now in the hands of 'vulture funds'”.